Wake's account of the military campaign ashore is a window into the woeful incompetence, impressive innovations, energy-sapping frustration, and breathtaking bravery that is always at the heart of combat. His description of the great naval battle, from the unique viewpoint of a prisoner onboard the most famous Spanish warship, is an emotional rendering of how the concept of honor can transform a hopeless cause into a noble gesture of humanity. 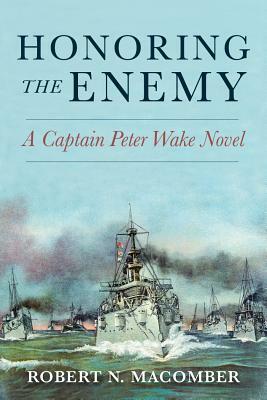 Honoring the Enemy is the fourteenth book in the award-winning Honor Series of historical naval novels.